Man Of His Word in action. VOTING for the All-Star Mile has begun at Winx pace with more than 10,000 votes lodged in the first few hours of opening. And it was a pair of long shots that set the pace early for the inaugural running of the $5 million feature in March. 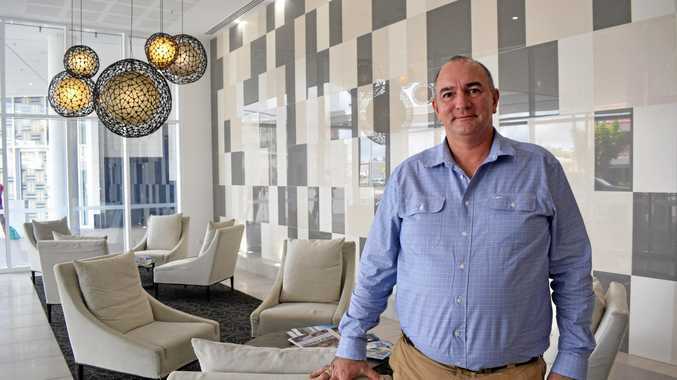 The early surge shocked Racing Victoria general manager of racing Greg Carpenter, who said a "rollercoaster" few weeks awaits. "We are thrilled with the overwhelming response received for the voting concept of The All-Star Mile thus far, with over 10,000 votes cast in first seven hours (from 9am to 4pm), exceeding even the most optimistic expectations," he said. "The leaderboard already underlines the fact that the race is not about fans selecting the best horse, it seems to be about fans voting for their favourite horse. "There is still a lot to play out over the remaining 27 days of voting and connections of horses and racing fans will be on a rollercoaster ride over the next four weeks seeing where the voting process takes us." 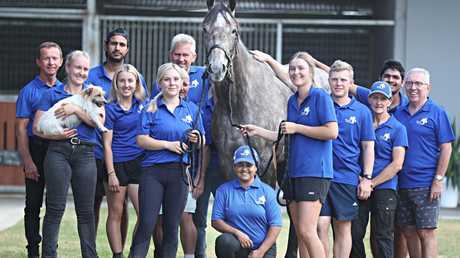 Trainers, owners and syndicators all ran extensive campaigns on social media once voting had opened, with Queensland-trained Urban Ruler and Man of His Word - trained by Dean Krongold at Kyneton - getting the jump on the field. Describing the six-year-old as a "bargain basement" contender, Grand Syndicates racing manager Sam Lyons said it would be a win for the underdog to secure entry to the race. "Great to see him up on the leaderboard … obviously we're hoping he can get a start in the race and represent the underdogs a little bit against some of these big boys," he said. "We know we're going to be racing Australia's best in there, but great to see horses like Urban Ruler and even Penny To Sell in the nominations. "Thank you to everyone who has voted so far and keep the votes coming in. We paid $10,000 for this bloke and it'd be nice to take on some of Godolphin and Lloyd Williams horses in a big race like that." James McDonald rides The Autumn Sun to victory in the Caulfield Guineas. 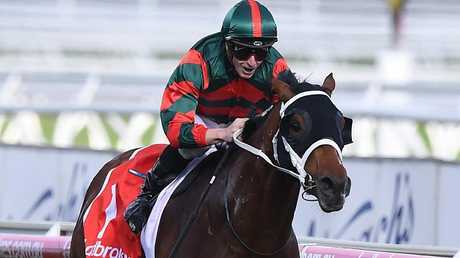 Chris Waller's Caulfield Guineas winner The Autumn Sun - which was also nominated Monday for the Australian Guineas and the Newmarket Handicap - has also polled strongly. Godolphin head trainer James Cummings - who has Hartnell, Best Of Days and Alizee nominated - said the race had the capacity to bring a "fresh and vibrant and new style of audience" to racing. Fourteen horses will contest the 1600m race, with 10 leading vote-getters over the next four weeks to gain automatic entry. 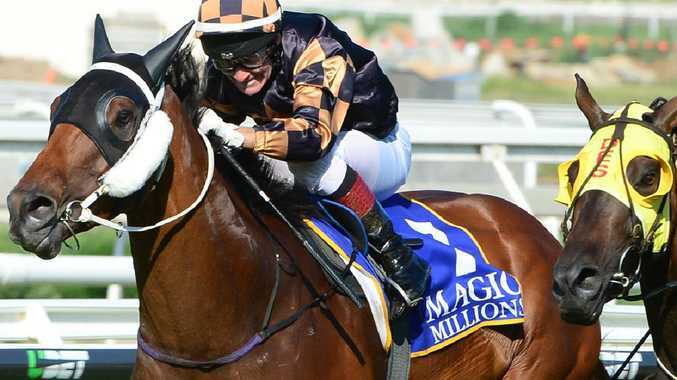 Lindsay Park Racing confirmed Vega Magic would not be aimed at the feature, with plans instead to take the gelding to the Newmarket Handicap. Third time lucky for mighty Winx?